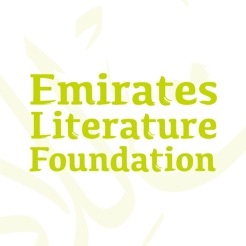 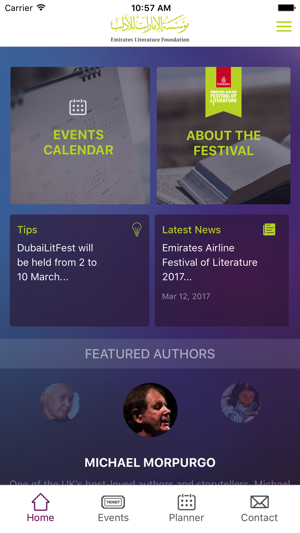 The Emirates Literature Foundation, the home of the Emirates Airline Festival of Literature, is a not-for-profit organisation which supports and nurtures literature in the UAE and the region through a programme of varied cultural initiatives. 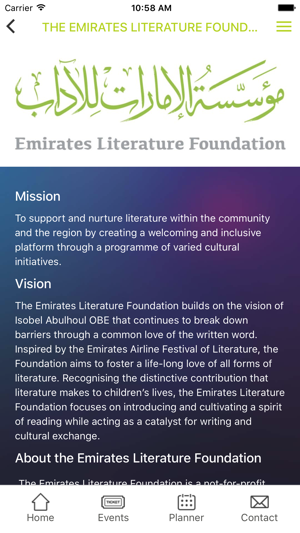 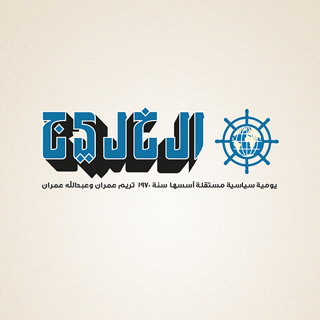 Established in 2013 by royal decree issued by His Highness Sheikh Mohammed Bin Rashid Al Maktoum, Vice-President and Prime Minister of the United Arab Emirates and Ruler of Dubai, the Foundation aims to foster a life-long love for all literature. 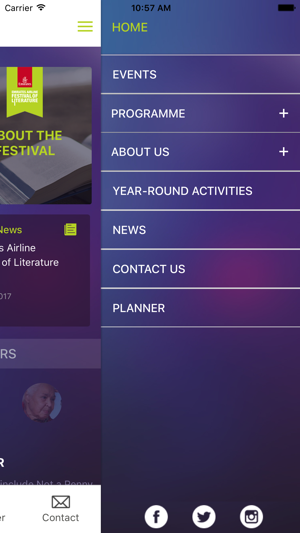 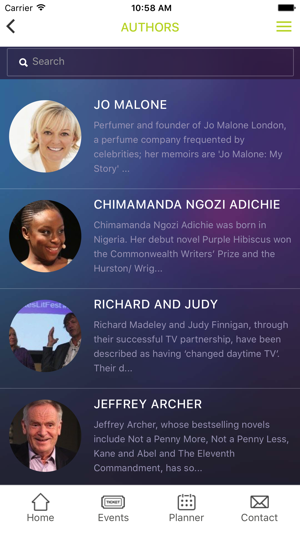 Recognizing the importance of reading from a young age, the Foundation focuses on encouraging children and young people to enjoy reading for pleasure. 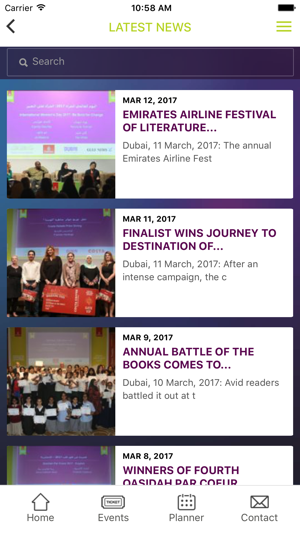 As part of its initiatives, the Foundation is implementing a School Librarian of the Year Award, an annual Arabic Language Week, an International Translation Conference and Publishing Conference, as well as year-round School Education Programmes, Book Clubs and Creative Writing Courses.